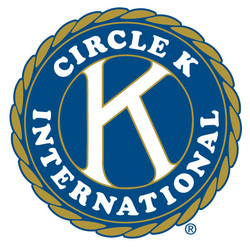 Circle K is a service organization that partners with various groups. Together we strive to help the underprivileged and citizens in need of support, be it financial or moral. The organization is about serving its community while strengthening its members in the core values leadership, fellowship, and service. Rowan University Circle K has its main meeting every Monday in James Hall room 2103 at 9:30 p.m. We do small projects on and around campus that are easy to get involved in. We work with the Ronald McDonald House, the Eliminate Project , and plan on being involved with Post House. We have lots of volunteering events planned for this semester and would love for you to come and join us.